Marketers devote considerable time and effort to establishing, growing, and protecting the brands of the companies they work for. Yet when it comes to doing the same for their personal brand, they often drop the ball. That’s a real mistake. Of course it’s not just marketers who should be concerned about building their personal brand. Everyone needs to give their own brand the attention it deserves. Why? Because we live in an increasingly competitive age and, no matter what your profession, it’s in your best interest to not only build a strong personal brand internally within the company you work for, but also externally across your industry. Admittedly, it takes time and effort to do so, but the benefits certainly justify the costs. 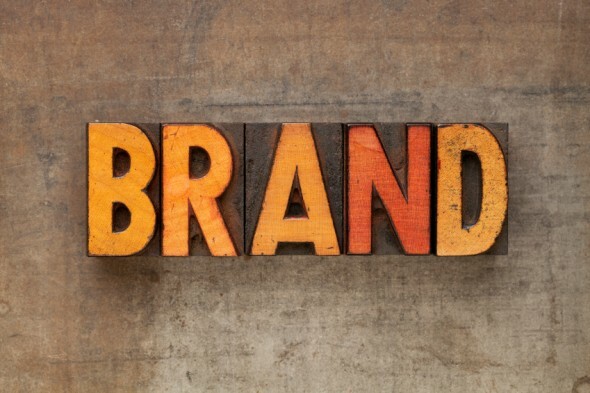 Building your brand can open doors for you, generate new opportunities, and give you greater credibility. It’s also a way to construct the right kind of online footprint for yourself so that when prospective employers or business partners invariably google you, they’ll not only find you, they will find content that bolsters their opinion of you. That can go a long way toward creating the right impression. So whether you’re a marketer or a shoe salesman, a business executive or an aspiring chef, this post outlines some the basic steps everyone should take to start building their brand. This may sound like an obvious first step, but it bears pointing out. Before you can build your brand you need to have a clear picture of what you want that brand to be. For example, do you want to position yourself as an expert or a novice, as a generalist or someone with a very specific focus, as a leader or a follower? You should also consider how you want your brand to come across (strictly professional? casual? a bit of both?) and where your public brand begins and ends (i.e., how much, if any, of your personal life you will let bleed in). One simple way to start is to think about the elevator pitch that you probably already use to describe yourself when first meeting others. If you haven’t already, refine that messaging until it’s sharply focused and articulates who you are. The more specific you can be the better because it will help you to distinguish yourself from others. Once you have a clear idea of the brand that you want to create, start thinking about what actions you can take to foster that brand publicly. Think about who you are trying to reach with your brand and where the best places to do so are. With a clear sense of the brand you are trying to create, the easiest way to start building it is to develop your social profile. Pick whatever social channels are most relevant — LinkedIn, Twitter, and Google+ are probably the most likely contenders — and that you are most comfortable using in terms of your familiarity with them and your willingness to use them as branding tools. The key to building up a following on any of these networks is to be active. That means sharing content and engaging with others on a regular basis. If you don’t have any content of your own to share (yet), then start curating other people’s content and share that. Try setting up a free account with an RSS reader such as Feedly so that you can quickly scan your favorite sites for high-quality content that you think the people in your industry would find useful or interesting. The simple act of sharing that high-quality content will help to establish you as a trusted provider of valuable information. If you can provide some of your own insights or observations when sharing the content (i.e., “there are some great points in this article, and here’s one more that I’d like to add…”) all the better. Over time, people will take note and begin to follow you. Once you have built out your social profile, it’s time to start thinking about creating some original content and finding other platforms that you can use to share that content and build your brand. Commit to writing at least one blog post or article about a topic you know well and look for opportunities to submit that content for publication on an industry website or in one of your favorite blogs. Guest-blogging is a great way to build a mutually beneficial relationship with other influencers in your industry. They get free, high-quality content and in exchange you get in front of their audience and become associated with their brand. My advice is start with smaller, less-well known publications and blogs and slowly build a portfolio of content placements. The more places you’ve been successfully published, the easier it will be to work your way into higher-calibre sites. In addition to writing, you might want to seek out opportunities to speak at relevant industry conferences, which you’ll find easier to secure once you have built up your social profile and have started getting your name out through guest blogging. Here again, start small and work your way up. Target regional conferences before national ones, and smaller speaking slots such as a panelist before going after any keynotes. The final step is to build your own website (using your name as the domain), which will serve as the hub for all things that pertain to your brand. The website doesn’t have to be fancy — a single page with some key information about you might suffice at first — though ideally it will evolve into something more. For example, you might create your own blog on your website, include samples of your work, or add in other content that helps drive people to your site. Ultimately, you want this site to be the first thing that comes up when people Google your name, so that you are able to help actively shape what their first impressions of you are and further foster the brand that you have worked so hard to create. For most of us (well in my case at least), building a personal brand is a long, slow journey. However, if you make steady investments into your brand, over time they will start to pay dividends. What have your experiences in brand-buidling been? What has worked and what hasn’t? else divine information about the future.